“The people appearing in this film have done so at considerable risk to themselves and without foreknowledge of, or control over, how they would be portrayed.” So reads the opening frames of the documentary Beirut: The Last Home Movie. What the people in the film have trulyÂ risked, according to this reviewer, is having their lives presented in such a ploddingly mind-numbing way that audiences cease to be interested in what they have to say. 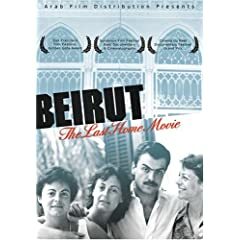 Filmed during the Lebanese Civil War, director Jennifer Fox’s award-winning documentary follows three months in the lives of an aristocratic family who choose to remain in their mansion in downtown Beirut, even while the city is being blown apart around them. Though it won the prestigious Grand Jury Prize for Best Documentary at the Sundance Film Festival, there’s just something lacking in the film’s presentation. Maybe it’s a film about elites made specifically for elites that leaves the rest of us out in the cold. Whatever it is, the endless ramblings of the Bustros family grow increasingly dull as the film plays out. Who would think that occasional shots ofÂ a war-torn city would serve as a welcome departure from the action of a documentary’s story? Typically such shots are more painful to watch and leave viewers with a profound sense of the true nature of war and its effects. And the harrowing shotsÂ of tanks, soldiers, and even a close-up on a dead body, does leave the viewer uncomfortable, butÂ In Beirut: The Last Home Movie, watching the Bustros family sit around inÂ their living room endlessly discussing the history of their house and their feelings on marriage is just aÂ bitÂ more painful and self-indulgent. Though other reviewers can’t seem to sing its praises highly enough, stating that it “reveals the power of cinema veritÃ© at its best: a seemingly simple recording of everyday life becomes a fascinating, complex and many-layered look at the connections between personal and political lives.” this reviewer has to politely bow out and admit that this film did not seem to accomplish such lofty goals. Though sporadically enjoyable, as a whole, this 120 minute narrative slice-of-life feels more like what its title suggests: a home movie. As a documentary, it’s almost too pretentious to endure. Perhaps it’s the shoddy sound, leaving speakers voices slightly muffled and difficult to understand, or the poor film quality, but Beirut: the Last Home Movie just doesn’t live up to expectations set by a slew of recent documentaries. 1 user commented in " DVD Review: Beirut: The Last Home Movie "
Absolutely agree with the review, particularly with comments about poor sound quality. The Bustroses all speak excellent English, but with an accent so that much of what they say is impenetrable. Absence of captions is lamentable. I sopped watching after about an hour.